Click here to view the presentation on Annual Report Filing. Officials from the Securities Bureau of the Insurance Division presented to IFDA District 6 on January 17, 2019. These are the handouts of that presentation. During the presentation, they stressed there are no changes in how to file since reports were filed last year. If you need more information or have questions, please call 515-242-5310. Deadline to file the report is April 15, 2019. Join IFDA May 14-16, 2019 at the Prairie Meadows Hotel & Conference Center in Altoona, IA for the 139th Annual IFDA Convention! Click here to view Convention Information & Registration. 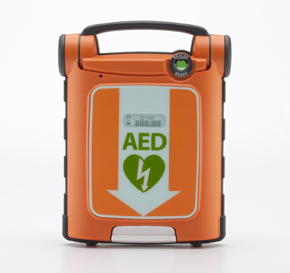 The Iowa Funeral Directors Association (IFDA) has endorsed School Health Corporation for the purchase of Automated External Defibrillators (AEDs) and appropriate accessories for funeral homes. IFDA has negotiated a reduced price for IFDA members and School Health Corporation is offering an additional $25 discount (on the reduced price) per unit to anyone who places their order before December 31, 2018.